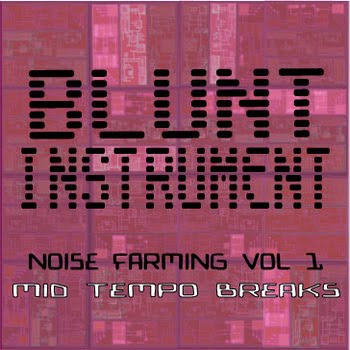 Glitch hop crew of Blunt Instrument, hailing from Australia decided to play a bit with classic tracks treating them with mid-tempo breaks and glitched out beat. Akon, Tom Jones vs. Art of Noise, Bob Marley and Missy Elliot - you can hardly go more diverse in selection of subjects for cruel retweaking :) The duo did quite a good job with their tools, which comes as no surprise if you heard their Blunt EP, one of the best releases last year, production-wise in glitch / mid-tempo department. I liked Tom Jones' re-fix best, pretty dope synth work there and nu-school breaks would definitely work on any dancefloor. Missy Elliot's Boom Clunk remix is another cool joint in the pack, licking the speakers with properly bass heavy juice. Bob Marley's dubbed out version based on stomping pads and swinging beat moved my legs and head in unison. What is more, if you don't like Tom Jones or cheesy Akon's vocalizations, you can grab pure instrumentals from their bandcamp site, which I highly recommend.